Contracts before they are awarded are reviewed to determine if they present opportunities for DBE, MBE, and WBE firms. Inclusiveness of firms with these certifications is required by State regulations and New York State has set goals as part of funding for its projects. 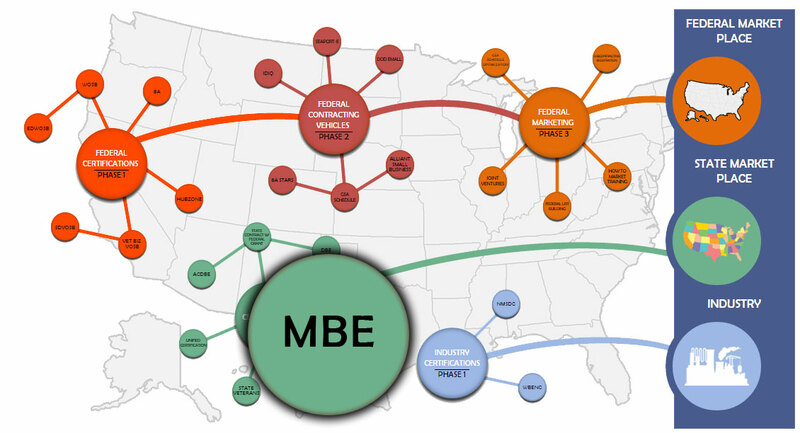 Once DBE or M/WBE contract goals have been established, only certified DBE or MBE/WBE firms may be used to meet the DBE or MBE/WBE participation goals. Once certified the company is listed in an electronic directory of certified firms, which is used by agencies and contractors to identify DBE or MBE/WBE firms for participation on contracts. In addition a DBE or MBE/WBE certification may also open the door to opportunities for growing your business by making it easier for you to market your company to State Agencies or other government entities. Provides following four certifications: MTA Office of Civil Rights (OCR), New York State Department of Transportation, Port Authority of New York and New Jersey, and The Niagara Frontier Transportation Authority DBE certifications (through the MTA Disadvantaged Business Enterprise Program Certification Application). 51% owned, controlled and operated by US citizen(s) or permanent resident(s). 51% owned by member(s) of a designated minority group(s): Black, Hispanic, Asian/Pacific Islander, Native American or Alaskan, and Indian Asian (MBE). 51% by a woman (WBE). At least 1 year Business History. Personal net worth under $1.32 Million. Firm classified as a small business according to the Small Business Administration.